(Nashville, TN) Bestselling author, pastor, and in-demand speaker Levi Lusko helps readers “get out of their own way” in a new, compelling book titled I Declare War (ISBN: 9780785220862 October 30, 2018). In I Declare War, Lusko candidly shares about his personal struggles, like moodiness, bullying, and suicidal thoughts. He identifies the weapons we have at our disposal, and illustrates how to use them to achieve ongoing victory. I Declare War is for anyone—from stockbrokers and soccer moms to skateboarders and sorority sisters—who struggle with personal demons, darkness, and self-sabotaging tendencies. The heart of the book is that you don’t have to be held hostage by yourself, you can be free. Lusko doesn’t offer a quick fix, or the perfect life, if you follow prescribed steps, but instead helps guide readers in how to think right so they can live right. 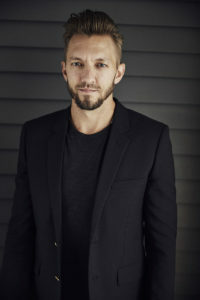 Levi is a bestselling author, pastor of Fresh Life (a multisite church in Montana, Utah, Wyoming, and Oregon), and the founder of Skull Church and the O2 Experience. Levi travels around the world speaking about Jesus. He takes pleasure in small things, such as black coffee, new shoes, fast Internet, and falling asleep in the sun. He and his wife, Jennie, have four daughters—Alivia, Daisy, Clover, and Lenya, who is in heaven—and a son named Lennox.